If you have the source code, how easy would it be to enable a first person view? I'm thinking of Time to Kill mods, etc. Also general modding. 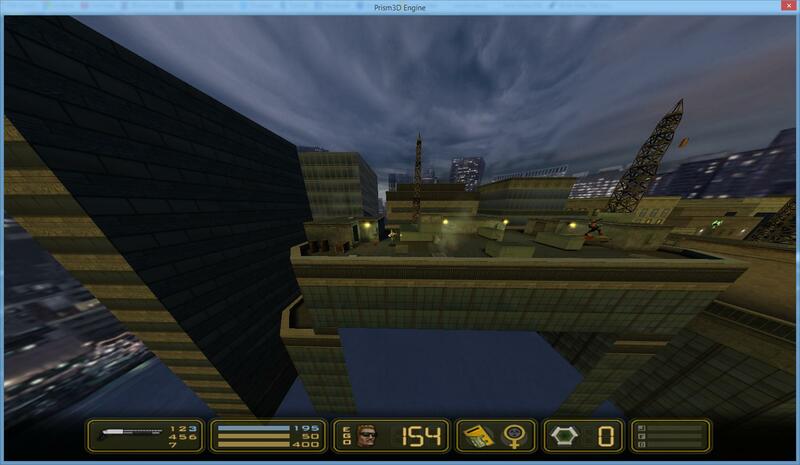 The game already has a first-person view built in (albeit buggy) with the console command g_fps. But if the source code to duke_base.dll (the equivalent of a Source engine game dll) was released, then fixing up the first person view would be rather trivial. The game would also become heavily moddable (to the point where you could pretty much do anything with it). I was talking with Fresch on Facebook a few months ago about it, but I haven't heard back in a while. With recent developments (Gearbox possibly owning the older Duke games now), I'm not even sure if it'll happen anymore. It would be nice to have a new engine to play with. Is it possible to alter the levels to seal up the open sides? Not without the map sources, currently only the sources to around 3 or 4 of the game's maps are available. New teaser of gym room of EDF base, and some facts about Deep Freeze (Project-2012) mod for Duke Nukem Manhattan Project. The first level of the original DNMP consists of four maps. The first level of Deep Freeze contains 22 maps. The mod adds to the game a ton of new features, including new enemies. In some levels Duke have companions. Today me and DNV was working in mod for Duke Nukem Manhattan Project Multiplayer i was making the server and clients and database and DNV will make buttons and map and world maker and alot. So I think multiplayer in DNMP is impossible. Because all what happens with "player2" affects the main player. For example, if "player2" picked up any weapon or ammo or powerup, the main player gets the same automatically. The second problem - "player2" can't die. 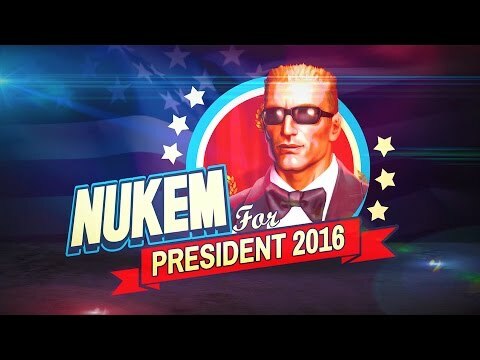 i told him to make new class for duke nukem with same data of duke nukem but iam not pro modder in DNMP but i know some multiplayer engines and setting servers for them so any advice for me ? You won't be able to do multiplayer properly without being able to modify duke_base.dll, which can't currently be done because no SDK was ever released. Manhattan Project source code has to still exist because of the XBLA and mobile ports. It still exists of course, but the actual engine source can't be released due to it using stuff like Granny3D. The code for duke_base.dll shouldn't be an issue though, and it irritates me greatly that it was never released. For reference, duke_base.dll is equivalent to gamex86.dll in idTech games. The duke_base source would be equivalent to something like the Half-Life SDK or Doom 3 SDK. ok , understood but can we decompile it? It's written in C/C++, so short answer: not back to C/C++ in an effective manner, no. You can disassemble it, but unless you can read assembly you won't get far. There are C/C++ decompilers, and I did play around with one to decompile duke_base.dll, but the output is as good as useless for modification, as expected. i was decompiling it but when it decompiled to c++ it crashed alot but i saw the classes in it and it was in hex. Ah The Duke Nukem Zero Hour Theme I heard In the YouTube video brought a tear to my eye. 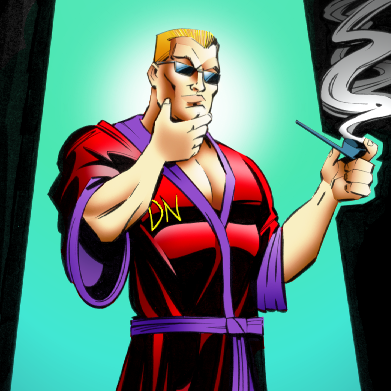 You are a connoisseur of Duke Nukem games, the theme is always went to when something good happens in the community. This gives me hope that the fans are out there doing Duke Justice. And is one of the best/underrated games in the series, Zero Hour. But based on the net I am not alone. Manhattan Project was a unique spin on the series and it is growing on me. Is this an expansion? Or lost episodes for the game?﻿ I know I said this on your YouTube Page, I just also felt I should ask here. And I must ask what is your favorite game in the series? And what do you think of World Tour? It depends on what you mean by "extension". All that is shown in Project-2012 trailer is already out of date. P.S. My favorite Duke game is DNMP. I'm almost indifferent towards World Tour, but that's better than nothing. Sorry about that, The reason I posted here as well as YouTube—Well YouTube currently for me is finicky so I apologize for double posting. When I posted on your video it said that ‘the message could not be sent’. But like many here I cannot wait to test this mod as well. after i decompiled the duke_base.dll does any one want it? you mean the lines in the game that attached by Debug mod ? or what? btw can any one give me the link for prism3d editor pls? Zombiekiller i was there already but it told me to go to dukenukemmp.com but the site it converted to Japanese site so can you help me? Maybe I should start with build engine editor instead of Prism3D and buy the old instructions book. Unfortunately, I have little time to develop Project-2012, especially after I started to work on Bombshell and other new 3DR projects. But I want to make the first episode and release it separately. And then the full mod. can any one give me the link for prism3d editor pls?